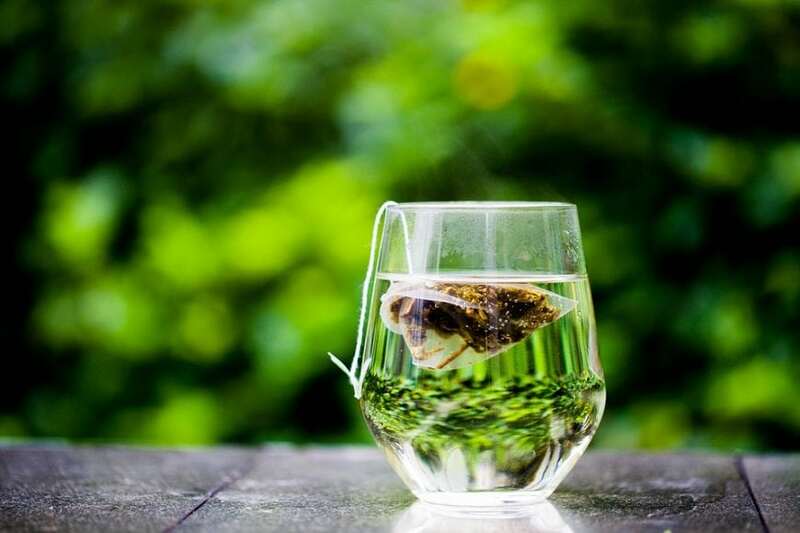 (−)-Epicatechin (EC) is a natural flavanol compound found at high concentrations in green tea and cocoa.1 Recently, we and others reported that EC treatment was beneficial in animal models of ischemic stroke (caused by a blocked brain blood vessel),2 hemorrhagic stroke (caused by a burst brain blood vessel),3 and traumatic brain injury (TBI).4 EC has been shown to protect nerve cells, or neurons, in a variety of acute and chronic brain disease models. Studies indicate that EC provides these benefits by reducing signals that cause oxidative stress (reactive oxygen species, or ROS). One of the main therapeutic targets of EC is NF-E2-related factor (Nrf2), a protein that contributes to the manufacture of antioxidant genes. In mouse models of hemorrhagic stroke, also called intracerebral hemorrhage (ICH), we showed that EC was able to lessen neurologic deficits and improve functional outcomes by activating the Nrf2 signaling pathway.3 EC also reduced iron content in the brain, which is known to be detrimental, and reduced the amount of brain cell death. We confirmed the mechanism of action in isolated cells known as astrocytes, which are the major source of Nrf2 in the brain. We collected the astrocytes from mice5 and added the blood protein hemoglobin to simulate ICH. Our results showed that EC inhibited ROS production by increasing Nrf2 in these astrocytes. Importantly, this beneficial effect was markedly decreased in astrocytes that did not have Nrf2 (Nrf2-deficient astrocytes). In the same cell culture model, EC was able to increase the content of several antioxidant genes, including superoxide dismutase 1 (SOD1), which is controlled by Nrf2. Another target of EC in the ICH brain might be activator protein-1 (AP-1). EC suppressed the signaling of AP-1 and caused a decrease in hemeoxygenase-1 (HO-1) in Nrf2-deficient astrocytes after hemoglobin exposure. HO-1 is known to be produced in response to oxidative stress. Interestingly, EC did not alter the HO-1 protein in normal astrocytes exposed to hemoglobin. HO-1 might have a toxic role early after ICH and the opposite (beneficial) role in the later stages of ICH.6 Our novel findings indicate that the effects of EC on HO-1 can be balanced by activation of Nrf2 and inhibition of AP-1. In a mouse model of TBI, we found that EC improved short-term and long-term neuronal survival and functional outcomes.4 In this TBI model, EC reduced injury size, decreased brain fluid retention, and improved functional ability early after TBI. It further improved cognitive performance and reduced depression-like behaviors at a later stage. EC also increased Nrf2 activation and the production of Nrf2-regulated antioxidant proteins such as SOD1. The decreases in injury size and brain fluid retention by EC were not observed in the Nrf2-deficient mice. This finding strongly indicates that Nrf2 is a major target of EC after TBI. In summary, EC is beneficial to the brain affected by stroke and traumatic brain injury. These findings indicate that EC has potential as an intervention for patients with acute brain injuries. These findings are described in the article entitled (−)-Epicatechin, a Natural Flavonoid Compound, Protects Astrocytes Against Hemoglobin Toxicity via Nrf2 and AP-1 Signaling Pathways, recently published in the journal Molecular Neurobiology. This work was conducted by Xi Lan, Xiaoning Han, Qian Li, and Jian Wang from The Johns Hopkins University School of Medicine. This work was supported by grants from NIH and AHA. Aree, T. & Jongrungruangchok, S. Crystallographic evidence for beta-cyclodextrin inclusion complexation facilitating the improvement of antioxidant activity of tea (+)-catechin and (-)-epicatechin. Carbohydr Polym 140, 362-373, doi:10.1016/j.carbpol.2015.12.066 (2016). Shah, Z. A. et al. The flavanol (-)-epicatechin prevents stroke damage through the Nrf2/HO1 pathway. Journal of cerebral blood flow and metabolism : official journal of the International Society of Cerebral Blood Flow and Metabolism 30, 1951-1961, doi:10.1038/jcbfm.2010.53 (2010). Chang, C. F., Cho, S. & Wang, J. (-)-Epicatechin protects hemorrhagic brain via synergistic Nrf2 pathways. Ann Clin Transl Neurol 1, 258-271, doi:10.1002/acn3.54 (2014). Cheng, T. et al. Cerebroprotection of flavanol (-)-epicatechin after traumatic brain injury via Nrf2-dependent and -independent pathways. Free Radic Biol Med 92, 15-28, doi:10.1016/j.freeradbiomed.2015.12.027 (2016). Lan, X., Han, X., Li, Q. & Wang, J. (-)-Epicatechin, a Natural Flavonoid Compound, Protects Astrocytes Against Hemoglobin Toxicity via Nrf2 and AP-1 Signaling Pathways. Mol Neurobiol 54, 7898-7907, doi:10.1007/s12035-016-0271-y (2017). Zhang, Z. et al. Distinct role of heme oxygenase-1 in early- and late-stage intracerebral hemorrhage in 12-month-old mice. Journal of cerebral blood flow and metabolism : official journal of the International Society of Cerebral Blood Flow and Metabolism 37, 25-38, doi:10.1177/0271678X16655814 (2017). Xi Lan is a researcher at John Hopkins University School of Medicine Department of Anesthesiology and Critical Care Medicine. Molecular Biology, Cell Biology, Cancer Research, Biotechnology, Immunology, and Genetics. Dr. Jian Wang is an associate professor of anesthesiology and critical care medicine at the Johns Hopkins University School of Medicine. His research focuses on understanding the pathophysiology of intracerebral hemorrhage. He is also interested in translational research to identify potential therapeutic targets to treat or limit hemorrhagic brain injury. Dr. Wang is a member of the American Society for Neuroscience, the American Heart Association, the American Stroke Association, the International Society for Cerebral Blood Flow & Metabolism, and the International Stroke Society. He is on the editorial boards of the Chinese Journal of Practical Nervous Diseases and Neural Regeneration Research. Dr. Wang’s work has been recognized by the American Heart Association with a Scientist Development Award and by the Ministry of Education in China with a National Science and Technology Advancement Award.